Arashiyama is a district on the western outskirts of Kyoto. It is easy to reach from the Kyoto station with the JR Sagano Line (also known as JR Sanin Line), which goes to the Saga-Arashiyama station. If you are visiting Kyoto, you should take a day to go there. There are a lot of must-see places, including the famous Bamboo Forest, Togetsukyo Bridge and Monkey Park Iwatayama (my personal highlight). There are also beautiful temples like Tenryuji Temple or Daikakuji Temple. Sounds crazy, right? But if you have very limited time and want to see as much as you can it is possible to visit Osaka, Kyoto, Nara, Kōbe, Himeji and Hiroshima/Miyajima in just 5 days! While you might need 5 days just for Kyoto alone, if you are visiting for a second time or want to see as much of the region as possible, you might try my crazy itinerary. If you are thinking on visiting some other places rather than Seoul, Gyeongju (경주시) might be a good choice. 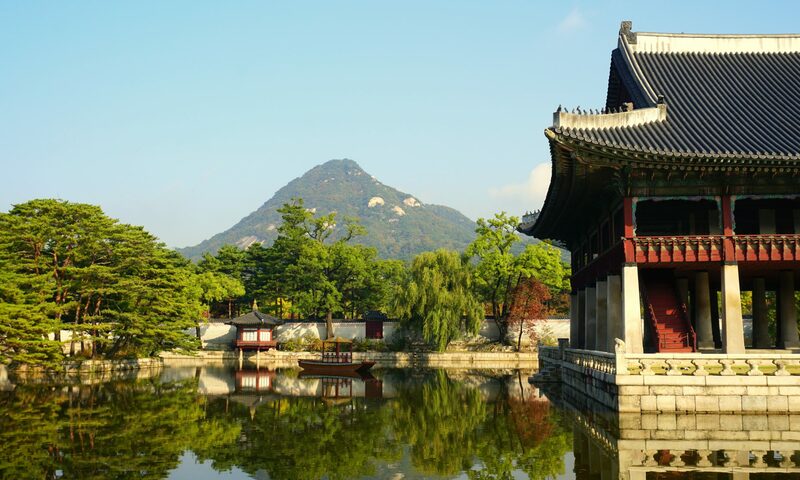 The city offers many historical sites from the Silla Dynasty such as Seokguram Grotto, Bulguksa temple, the Royal Tomb Complex, the Cheomseongdae, which is one of the oldest astronomical observatories in East Asia and the Anapji royal pond garden. I have been to all of these sites before and they are all interesting, but if you have limited time, I recommend visiting these three: Anapji, Seokguram and Bulguksa. I wish I had photos of all of these attractions, but the first time I was there I had a really old camera and the photos are not presentable. This time we picked the day with the worst weather and it was raining cat’s and dog’s by the time we were finished with Seokguram and on our way to the Tombs. All sights are in the open and it was not worth getting soaked in the rain.